Students of international relations have long pondered the question of world political order and its changes. It is generally believed that either a shift of the distribution and concentration of power in the international system (power transition) or a reordering of the units in the system (change of the ordering principles and norms) would constitute a systemic change that will fundamentally alter world politics and reshape nations’ behavior and redirect human civilization. Some also suggested that we are not entirely slaves of the past, and our present and future are ours to make and change. Thus ideas, knowledge, and choices all matter. It is therefore critically important to detect, analyze, and cope with a systemic change of world politics for the sake of peace and prosperity. The world has seen quite a few power transfers and even attempts to establish new orders over the recent centuries. Costly world wars (hot and cold ones) have been fought in the 20th century alone. It has been mercifully rare for the world to be presented with a weighty choice about both the power redistribution and unit-reordering in the international system — systemic change in its fullest possible degree. The rise of China, or more specifically the empowerment of the People’s Republic of China (PRC) state, is presenting the world with such a double-barreled, historic situation: a shifting power distribution and a profound choice about how the nations are ordered in the system. The systemic change implied by the new Chinese power is poised to surpass that associated with the long Cold War. On the one hand, the rapidly ascending power of the PRC state promises a great power redistribution that will make Beijing an alternative (even exclusive) power center for the region and then the whole world. 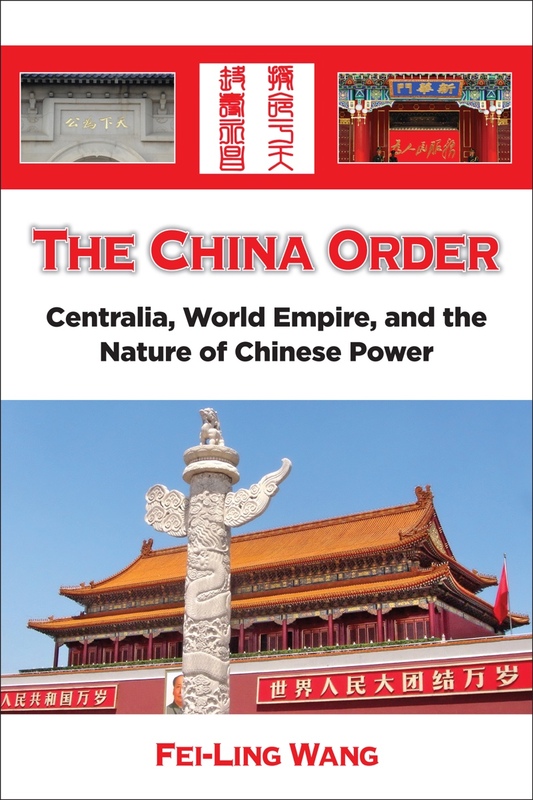 Chinese leaders have already openly claimed that they are leading a revolutionary change in the world order, upending the Westphalia Peace established “more than four hundred years ago.” On the other hand, and more profoundly, as I argue in my new book (The China Order: Centralia, World Empire, and the Nature of Chinese Power, Albany, NY: SUNY Press, 2017), rising Chinese power presents the world with a choice about the ordering principle of world politics. Therefore, it is no exaggeration to say that the future and fortune of human civilization rests heavily on how the rise of China is managed. Unlike many other world empires or attempted world empires (from the Egyptian pharaohs, the Inca, to the world Fascist and Communist movements), the China Order was practiced effectively for many centuries and united the whole known world in Eastern Eurasia from the third century B.C. to the mid-nineteenth century, albeit with frequent pretentions of unity and several, impermanent intervals of disunion. There was only one major pause of the China Order in the Chinese World: the Song Era (10th through 13th centuries), with rich, significant but underexplored lessons. The Qin-Han world empire political system of the China Order has also rejuvenated itself a number of times in the Chinese world. It has been highly attractive and even addictive to the ruling elites (Han Chinese or Non-Han Chinese alike) inside and even outside of the PRC as a deeply internalized part of the millennia-old Chinese culture and worldview. To many in China, the China Order is not just a viable, but also a superior world order, an ideology and a political system representing peculiar socioeconomic norms and culture values. The China Order has fundamentally shaped the Chinese World distinct from that in the post-Rome Mediterranean–European World under a de facto and later de jure world order of divided world polity with international competition — the Westphalia System. It explains the great West-East divergence between Europe and China. The China Order is a world order that is structurally and normatively incompatible with the Westphalia world system. Historically and comparatively, the Qin-Han polity and the China Order underperform for the Chinese people. The record of the Qin-Han polity has been the same in the PRC, which has been a suboptimal giant with inferior governance and barely average record of socioeconomic development. Yet, today, “the PRC has an increasingly unobstructed and selectively unilateral access to foreign markets, resources, and especially technology so it enriches and strengthens rapidly without being itself efficient and innovative. An inherently suboptimal giant plagued by an inferior governance, the PRC state nonetheless still rises to be very formidable and competitive in international relations.” (The China Order p. 216) Thanks to its extraordinarily strong extraction capability, the PRC state is already a rich and mighty player—“moving in to the center of the world stage,” claimed Beijing officially. The rise of the PRC is thus ushering in a new round of power redistribution in the international system on a massive scale, together with its ideal of reordering the nations. To the peoples of Eastern Eurasia, the Qin-Han polity was grossly suboptimal and even disastrous in its record of governance, economic development, and technological innovation. The best of the glorious Chinese civilization was the periods when there was an absence of the China Order: the pre-Qin Era, the Song Era, and the time since the late-19th century, contrary to the much-distorted official Chinese narratives and claims. To the peoples of the world, a revival of the China Order would mean largely the same fate the peoples had in the Chinese World after the third century BCE. As the logic of the China Order would predict, rising Chinese power will not stop short of reordering the world unless and until the very Qin-Han polity is transformed and/or the ever richer and more powerful PRC is checked. How to manage the rising Chinese power and how to make the grand choice for the world order will determine the future and fortune of the United States, the world, and for the Chinese people themselves. The window for an effective, peaceful choice is still open, and there is evidence to trust the Chinese people to make the right choice together with the other nations, provided that they are given the full information and freedom to reread their history and to choose. The great people of China are fully capable of controlling their destiny and steering a great course in history that is different from the China Order, and in so doing make the world and China a better place. Hopefully, the effort to analyze the China Order through rereading the Chinese history may just be a small step in that direction. FPIF contributor Fei-Ling Wang is professor of international affairs at the Georgia Institute of Technology, whose most recent book is Organizing through Division and Exclusion: China's Hukou System. He can be reached at fw@gatech.edu.